How To Reset Your Metabolism With A Ketogenic Cleanse. Yep, all those low carb options and more are totally possible on a ketogenic diet. 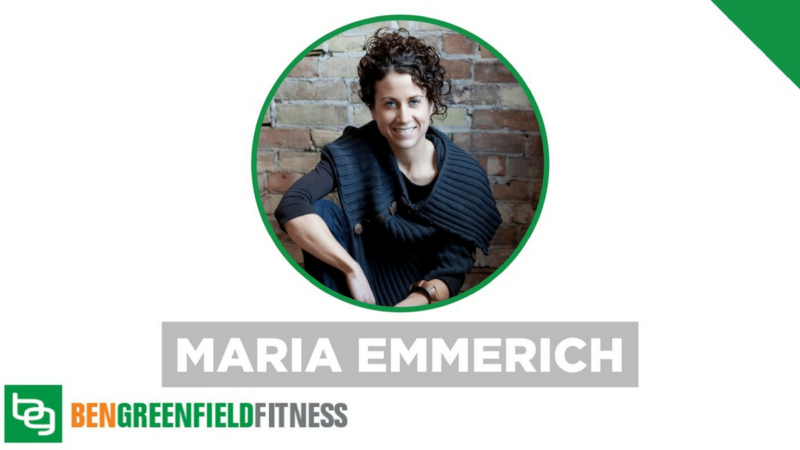 You just need to know what to do, and my guest on today's podcast, Maria Emmerich, knows exactly how to do it. Do you have questions, thoughts or feedback for Maria or me? Leave your comments below and one of us will reply! BTW I’ve made Maria’s waffle recipe (with hard boiled eggs) and it’s outstanding. She also has a “brioche” recipe made from boiled eggs and whole eggs and it’s fantastic – very moist and not eggy at all. One of the things I really like about Maria is that she experiments like a mad scientist to come up with the recipes you’re going to miss when you get down to business with carb restriction. I’m struggling with an impaired metabolism and 2 autoimmune disorders and Maria and Craig’s recommendations for macros have helped me lose weight (while hypothyroid). They are a fantastic team if you are really struggling. This is the best for milk frothing (Hot or Cold), and I bet it would do wonders for your matcha tea. I use it for all kinds of drinks and milks and it’s obviously more gentle than throwing things in a vitamix (which I also love to do). Thanks again for all of the great content. Funny enough, I grew up in Idaho and spend some time in Spokane as a young adult. Every time I hear you mention something local to Idaho or Spokane I have flashbacks of my childhood and college, lol. I’m actually headed that way this week! Again, thank you for all great content and personal info you share. It’s much appreciated! Great episode Ben & Maria. If someone is on the Keto diet, what is an average range for their cholesterol? How high is too hig? Are there any good studies to support this? Lastly, is there a good way to test the level of the body’s inflammation? Is the Rootz egg white protein powder heated at a lower temp to reduce oxidation? Yes, that is bad stuff. Thanks! Counter top brother for your tea…the struggle is real. I was curious about Paleo Protein and what your thoughts are. The brand, developed by Julian Bakery, claims it uses a flash frozen method that turns the egg whites into powder. Could you shed some light on this method or product and if its safe to use as an egg protein powder? Not sure but I shy away from Julian’s Bakery. They did some shifty stiff with their breads claiming a lot less carbs than there was in them and they got in trouble for it. Is Rootz egg white protein powder heated at a lower temp to prevent oxidation? Not sure. Maybe Ben can pipe in on this. Might have to ask the manufacturer about their process and how much heat is used. They are actually freeze-dried, which is the best way to preserve nutrients when converting the egg whites to powder form. Ben, love all your work. I have a specific questions re: a comment both you and Maria made concerning chia seeds. You both mentioned that chia seeds have estrogenic properties. I have not been able to find anything about this on the web, and in fact several articles state that chia have “anti-” estrogenic properties. Could you provide more detail about this? Im glad I’m not the only one who questioned and googled this extensively as well….I am also curious to the answer of the question you are asking here! Yes, Chia seeds have phytoestrogens that act like estrogen in the body. This machine is great for anything. So much fun to create and experiment with your own recipes. I’ve had mine for 3 years and highly recommend it. I purchased mine from Amazon. health and well-being with each episode. Keep doing what your doing!! And thank you for all of your PROMOS!